Counting eighth and sixteenth notes can be done using the same method regardless of what instrument your playing on. The key is understanding time signatures. A time signature refers to the number of beats in a measure and how the measure is counted. This is represented as a fraction. The most common is 4/4 timing. This means that there are four beats in a measure. Each of these beats is comprised of quarter notes. Count "one and two and three and four and." This is how to count eighth notes in standard 4/4 timing. 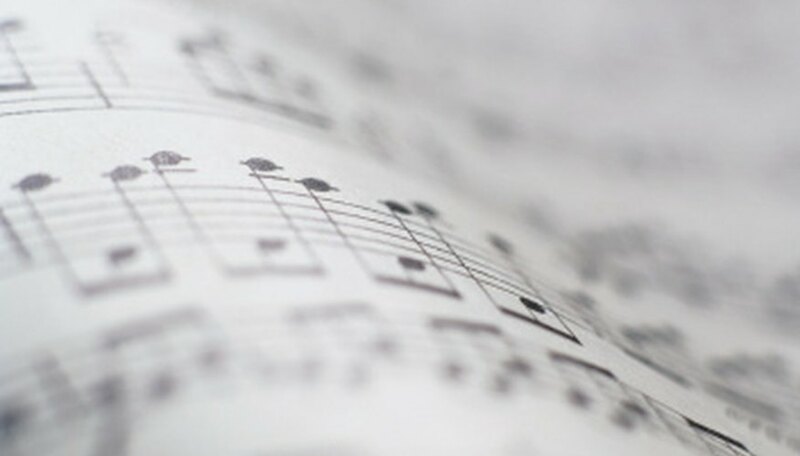 Since eighth notes comprise one half of a beat, there will be eight counts per measure. Counting "one, two, three and four" comprise the first half of the beat, while the "and" makes up the last half of each beat. This is easy to adjust for other song timings. For 3/4 timing, use "one and two and three and one and two and three and." For 2/4 timing use one and two and one and two and. Adjust the count for 3/4 timing, use "one and two and three and one and two and three and." That is how to count eighth notes in 3/4 timing. To count eighth notes in 2/4 timing, use "one and two and one and two and." Count "one e and a two e and a three e and a four e." This is how you count sixteenth notes in standard 4/4 timing. Each sixteenth note makes up one-quarter of a beat. For each measure there will be 16 notes and four notes for every beat. Based in western Michigan, Steve Middendorp has been a writer for more than 10 years. He has contributed to several regional publications such as "Revue Magazine" and "GR Now." Middendorp holds a Bachelor of Science in communications and psychology from Grand Valley State University.